Do you love the advancement of technology by amazing scientific inventions? If the answer to the above question is a big yes, then you are in the right place. 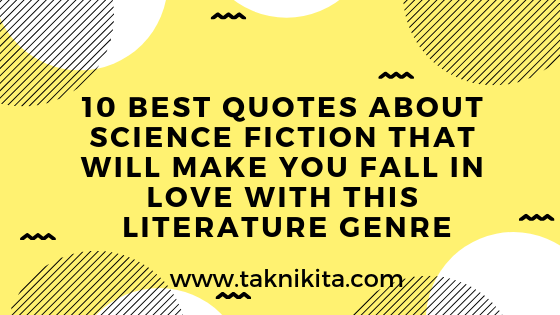 In this post, I will share about the 10 engaging quotes/thoughts about science fiction that will eventually make you fall in love with this literature genre. #8 “Science fiction seldom attempts to predict the future. More often than not, it tries to prevent the future.” –Arthur C Clarke. So, after reading the quotes, if you are looking forward to reading the best science fiction books of 2019 in January, then you will be able to find on Amazon, in paperback or kindle. You can also walk-in the best bookstores near you where you will find wonderful science fiction books.